As noted elsewhere on this site there are tons of small printers popping up on a regular basis. When it comes to true production printers though the list of quality suppliers drops off. One of those remaining on the list is the decades old Stratasys, who at’s it’s peak had a market cap of nearly $5B. 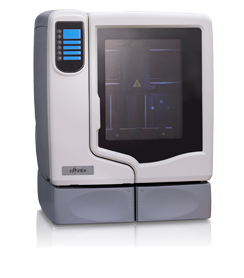 Stratasys now boasts a portfolio of more than a dozen printers that span most of the market. On the lower end of their portfolio is the Mojo and uPrint series, designed as desktop machines for smaller print runs. Noticeably absent from Stratasys is anything below these, in terms of pricing, and therefore the hobby and consumer market is underserved. Still though given the range of technologies across their portfolio if Stratasys does decide to move into the “printer in every home” consumer space, there are few competitors equipped to really take them on. On the other end of the spectrum are the production grade printers, including the J750 series, shown to the left, that can handle a wider variety of materials and offers multiple colors printing from the same run. This allows for seriously robust prototyping, and the build size also means that short run production batches are feasible and cost efficient compared to short run machining or prototype injection molding. All that is not to say that Stratasys is just a printer company. They also offer an array of printing materials which is critical to opening up applications. Low grade resins are great for samples while higher end thermoplastics, such as Ultem, opens up the opportunity for everything from medical devices to aerospace. Also now with the acquisition of various software platforms, including GrabCAD, they are poised to capture that complete ecosystem of design and manufacturing for the additive manufacturing space. Over $1B market capital as of this writing, Stratasys is still far below the value they saw at the peak of the 3D printing hype cycle. And yet they are touted by every major market report as one of the top two preforming companies in the space. The additive manufacturing space is ripe with tuck in technologies and an ecosystem of partner products. It should come as no surprise than that large players in the space are accustomed to making acquisitions. 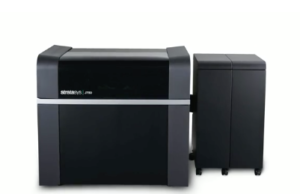 Stratasys is not as active in M&A as rival 3D Systems, but they do have at least 1 billion dollar merger thanks to the combining of Objet back in 2012. Fabbaloo does a good job of showcasing their list of other deals. Still, with the decline of the overall 3D printing market, some point out that they may now themselves be the target of acquisition.